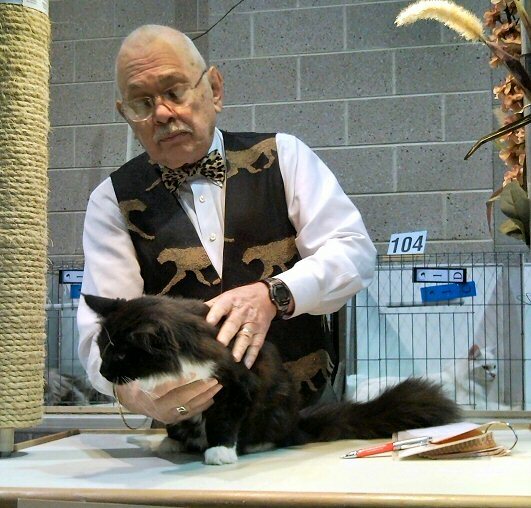 We took Purrnado and Got Milk to the cat show in Providence (their first shows as adults) and they did very well. Here’s Miss Purr showing some interest in something feathery while Milky waits for her turn in the spotlight. 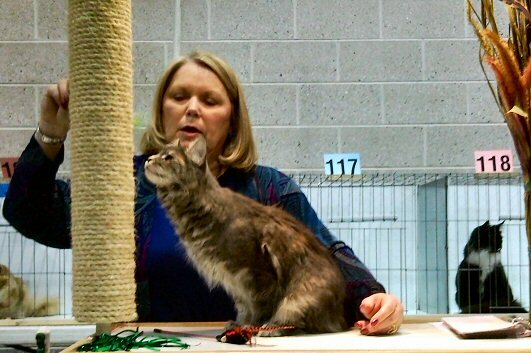 Milk is a natural show cat — and very large for an eight-month-old female, which always impresses the judges.